East Asia contains the following countries: China, Hong Kong, Japan, Macau, South Korea and Taiwan. China is not the only sizeable economy in East Asia. In fact, three other countries rank amongst the world’s Top 25. These countries include Japan (# 5 – $4.93 trillion USD); the Republic of Korea (# 14 – $1.93 trillion USD); and Taiwan (#22 – $1.13 trillion USD). East Asia is also the largest contributor to greenhouse gas emissions, accounting for one-third of the world’s carbon dioxide emissions and 60% of its coal consumption. The region plays a critical role in advancing the global climate change agenda. East Asia’s GDP growth continues to be solid, largely due to continued growth in China. In 2016 China’s GDP increased by 6.7%. Driven by robust domestic demand and a gradual recovery in the global economy and commodity prices, the economies of East Asia are projected to expand at 6.2% in 2017 and 6.1% in 2018. China’s growth rose steadily, to 6.5% in 2017 and 6.3% in 2018 and 2019. Over the last two decades, poverty has decreased dramatically across most of developing East Asia. Between 1990 and 2019, the number of people in the region living in extreme poverty fell by over 920 million. The rapid growth in labor incomes among the poor, along with low unemployment, structural transformations, and public investments contributed to this poverty decline. Which East Asian Countries Offer the Best Investment Opportunities? China also has the largest clean stove industry in the world (click here to read full article) and has implemented various government-supported clean stove programs. This is important as China and bordering countries to the north all require a reliable and efficient heat supply. Given the lack of central heating supplies in rural and peri-urban areas, traditional heating stoves are often used. These stoves are often inefficient and emit large amounts of pollutants. This results in indoor and outdoor air pollution with negative health and environmental impacts. This is especially true in Mongolia, Kyrgyzstan, and Tajikistan. Although this is a niche market, producing and exporting energy efficient, clean stoves will help clean up the environment. As China seems committed to furthering and continuing its growth in investment with Association of South East Asian Nations (ASEAN) member states, investments in logistics look to provide try growth opportunities. Investments in logistics will help grow ASEAN markets. China has actively been investing in high-speed rail projects in Thailand. They have also expressed interest in the Dawei Special Economic Zone in Myanmar, which is a major port expansion to open shipping lanes to South Asia. Japanese gross domestic product is projected to trend around 5400.00 USD Billion in 2020. This compares with its original forecast of 1.7% and helped Japan hold its position as the 3rd largest economy. This is the 5th consecutive quarter of growth in Japan. Despite challenges associated with a declining population (and workforce), deflation and lingering effects associated with the earthquake and tsunami disaster in 2011. Japan’s government has been keen to restart nuclear power plants that meet strict new safety standards. In August 2015, Japan successfully restarted one nuclear reactor at the Sendai Nuclear Power Plant in Kagoshima prefecture, and several other reactors around the country have since resumed operations. The government has identified its nuclear power capacity to produce electricity and avoid importing energy from abroad is key to fueling continued economic growth. Japan is among the world’s largest and most technologically advanced producers of motor vehicles, electronic equipment, machine tools, steel and nonferrous metals, ships, chemicals, textiles and processed foods. 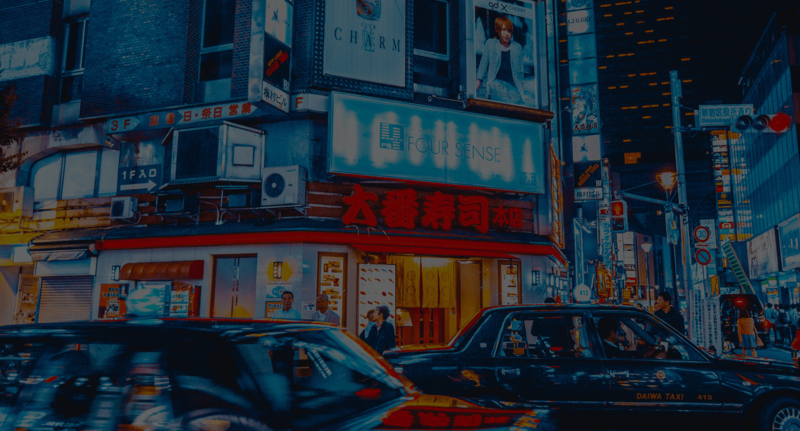 Taiwan has a dynamic capitalist economy that is driven largely by industrial manufacturing, and especially exports of electronics, machinery, and petrochemicals. This heavy dependence on exports exposes the economy to fluctuations in global demand. Taiwan since 2009 has gradually loosened rules governing Chinese investment and has also secured greater market access for its investors in the mainland. Everything in Taiwan is not totally rosy. Taiwan’s population is aging quickly, with the number of people over 65 expected to account for nearly 20% of the island’s total population by 2025. This raises the question of future labor shortages. As we learned in one of our recent articles, ASEAN is an extremely difficult region to do business in (according to the World Bank’s Ease of Doing Business Index). Conversely, East Asia is much more business favorable, with Hong Kong (4), South Korea (5) and China (78) quite supportive of global investors interested in expanding their businesses in those countries.